In a world where the pace of change is constantly increasing, how do you take control of your business? By learning from data and adapting faster. Organizations should transform into a DataDriven enterprise that can respond quickly to change. Of course, data and (open source) technology play a major role, but organization, skills, and process are equally important. We provide the data consultancy you need to transform your business into a DataDriven enterprise that can respond quickly to change. Custom data solutions and predictive models ensure that your business is in front of the wave. Our dedicated team of experienced data engineers and business-savvy data scientists combine the best Big Data and machine learning technologies to help your organization become truly DataDriven. The Data Survey 2018/19 report presents the results of our annual survey, collated from over 1,300 respondents, and discusses their insights into topics such as data strategy and technology, data science and artificial intelligence, and talent acquisition. Download the Data Survey 2018/2019 report. SURF, Binx.io, and GoDataDriven organize the first-ever Dutch race competition with DeepRacers, the autonomous 1/18th scale race cars from Amazon Web Services. Xebia achieves Amazon Web Services (AWS) Machine Learning (ML) Competency status as recognition of its consulting experience on helping customers to solve their data challenges. Mastering Financial Information Client case of KLM for financial data analytics and process mining. Consultants helped their finance department to become the master of information for its business. Aligned with the ambition to become and stay the most customer-centric, innovative, and efficient network carrier within Europe. Building a Blockchain-Based Transaction Model for Instruqt, a Gamified Learning Platform For Instruqt, a gamified learning platform, we are working on a blockchain reward model. Customer Story Marktplaats: Data science workflow and machine learning For Marktplaats, GoDataDriven has developed smart algorithms that use machine learning technology. To improve its user experience, even more, we helped with a personal experience for over two million daily visitors by a new data science workflow. Royal FloraHolland: Smart data applications for the global trade platform Royal FloraHolland is working with GoDataDriven on the introduction of new digital services, including deep learning applications, up-to-date reporting, predictions and smart recommenders. Quby: Lower Energy Consumption with Toon by Applied Data Science From Appliance to Applied Data Science at Quby, GoDataDriven is working towards less energy waste by developing production-ready and scalable data applications. With data from Toon, the smart energy platform, we can contribute to efficient energy use. NPO: Personal Recommendations Based on Viewed Content To improve the online user experience of Transavia, GoDataDriven developed personal recommendations based on machine learning algorithms. Transavia: A Better Customer Experience To improve the online user experience of Transavia, GoDataDriven developed personal recommendations based on machine learning algorithms. 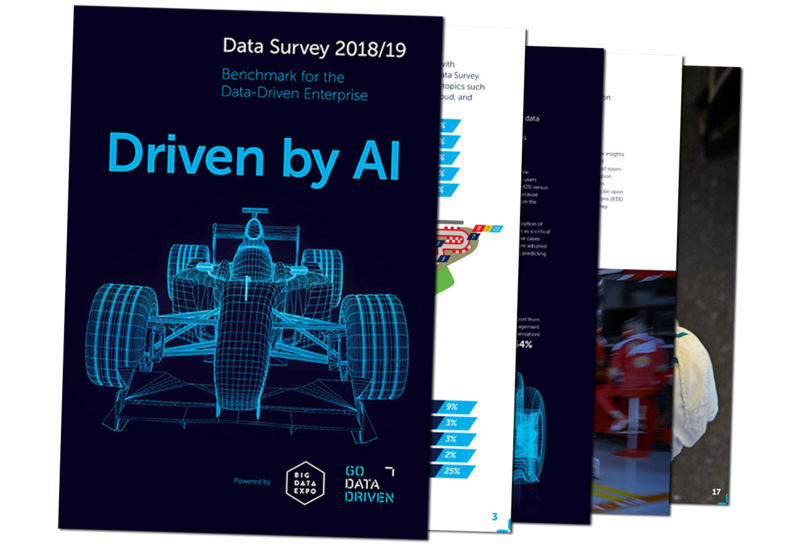 Download Data Survey 2018/19 - Driven by AI For the latest insights from the largest international market study on the use of data. GoDataDriven Training Overview 2018 Learn to develop robust and scalable Data Science solutions that can be taken into production easily. Big Data Survey On GDPR, cloud, data technology, and much more. Data Science in Production - Magazine One step closer to becoming a data-driven organization. Xebia Group © 2019. All rights reserved.Xebia explores and creates new frontiers in IT. We provide innovative products and services and strive to guide our customers into the transforming world of IT.